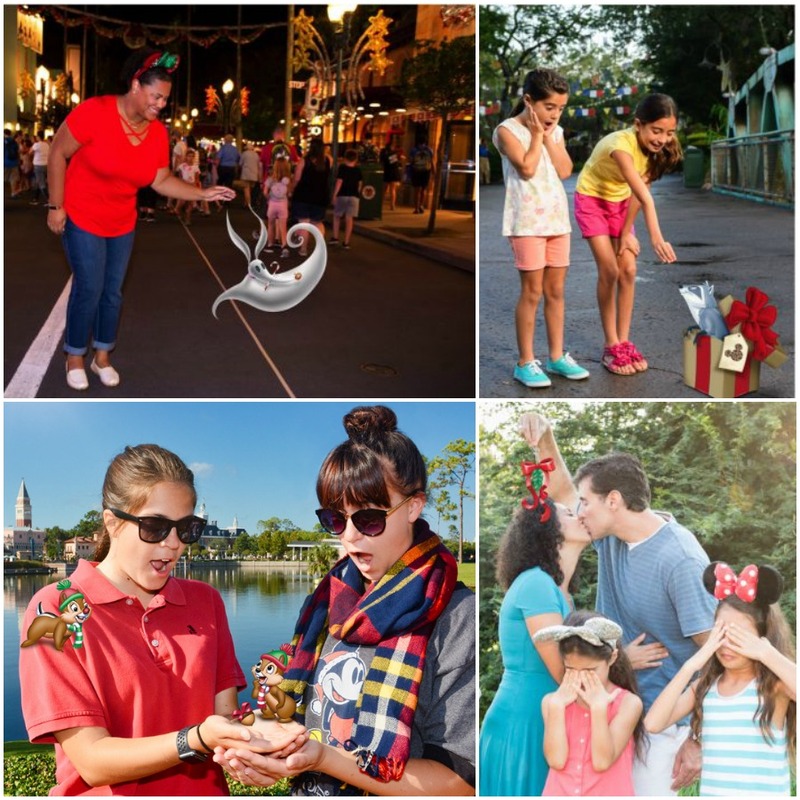 Disney World’s Hard Ticket Events – Love ‘Em or Leave ‘Em? What happens when you combine one 30,000 pound, 65-foot tree, one 40-foot star, 5500 twinkling lights, 430 feet of garland, 325 ornaments, 275 feet of strung popcorn, 400 flickering candles, 135 candy canes, 100 gingerbread cookies, and the Disney Characters? 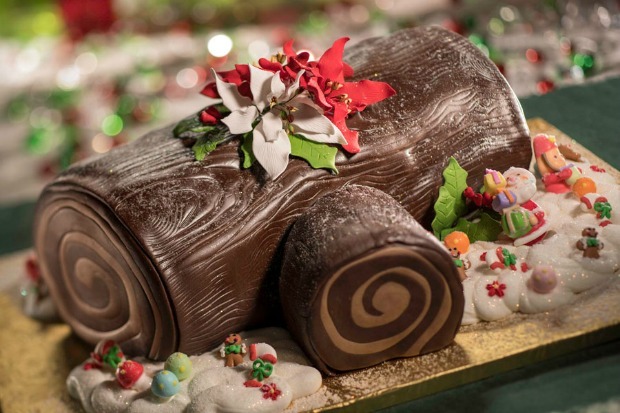 Why, you have the perfect recipe for Christmas at the Magic Kingdom! "A Frozen Holiday Wish" show will take place daily on Cinderella Castle stage. Anna, Elsa, Kristoff, and Olaf can be seen in the show and Queen Elsa's ice powers will transform Cinderella Castle into an ice palace. To create the effect, 200,000 twinkling lights are draped on the towers and turrets. The attraction will receive a new storyline, just for the holidays. The Skippers are homesick, so they've handmade decorations for the queue and boathouse using things that have been mailed to them from home (plus a few they've created themselves). 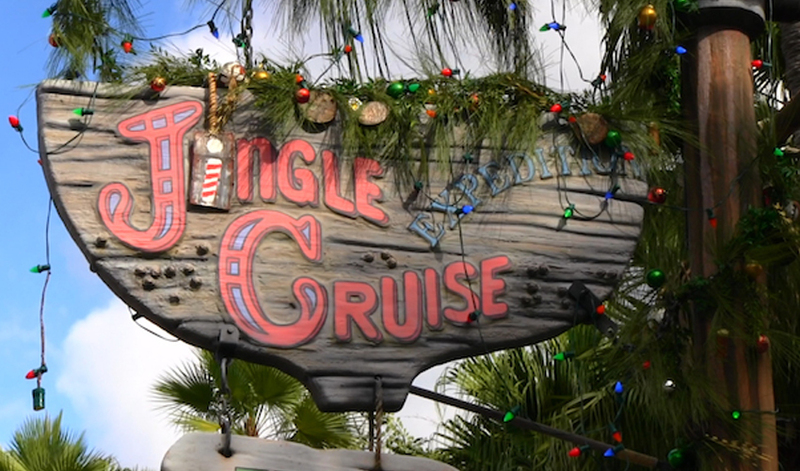 There will be new jokes, new holiday-themed names for the boats and even a holiday-themed radio broadcast playing in the background. This will be open throughout the holiday season, as well as during Mickey's Very Merry Christmas Party. Santa Claus will be meeting and greeting Magic Kingdom guests at the Tour Guide Gardens next to City Hall through December 24. You can also visit Santa during Mickey's Very Merry Christmas Party until he's needed for his very important role in the parade. The following is the 2018 schedule of entertainment impacts that will occur at Magic Kingdom Park. Let the Magic Begin (Welcome Show) will be audio only. Additionally, the Flag Retreat typically takes place at Magic Kingdom at 5:15 p.m. daily, but on November 11 only, a special enhanced Flag Retreat will take place in honor of Veterans Day. Character set times and locations may be adjusted throughout the week, so be sure to pick up a Daily Times Guide on your way into the theme parks. 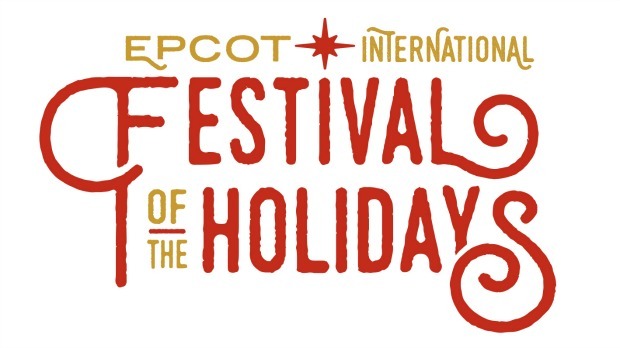 Epcot’s popular celebration, Holidays Around the World, has been reimagined into the Epcot International Festival of the Holidays. One of the really special things about celebrating the holiday season in Epcot is learning about the holiday traditions of all the different countries. Each country has its own special theme that highlights its culture. Storytellers will delight you with tales of their heritage and how the holidays are celebrated in their homeland. It's a unique opportunity to learn more about the world in which we live. IllumiNations: Reflections of Earth is enhanced for the Holidays with an additional special Peace on Earth holiday ending. There's nothing that's more inspirational than hearing the story of Christmas told nightly. This beautiful show evokes the true meaning of the holidays and is not to be missed. The best way to get in to see this popular show is to take advantage of one of the dinner packages and get reserved seating. You can "DAK" the Halls at Disney's Animal Kingdom Theme Park. There's a special animal themed tree that's displayed outside the entrance and festive garlands will have the park all a-glow with merriment. Decorations around the park will showcase new day-into-nighttime experiences, including Tree of Life transformations, Kilimanjaro Safaris, Kali Rivers Rapids and Expedition Everest. Live entertainers complete the festive mood found at the Animal Kingdom Theme Park. A new addition of Diwali, the holiday Festival of Lights in India, is being added to the live show, UP! A Great Bird Adventure. Guests at Disney’s Hollywood Studios will enjoy a Flurry of Fun with holiday offerings that will continue through January 6, 2019 inside the new Toy Story Land and throughout the park. All the holiday decorations have a retro style and are inspired by the 1950s. Tinsel town takes on a whole new meaning! Seasonal experiences will include festive shows and entertainment, enchanting decor, specialty dining opportunities, special holiday treats, and even a chance to meet Santa Claus! Echo Lake and the surrounding area will be the merriest of places this holiday season, with extra-large ornaments (even some that float! ), colorful garlands, and a giant 65-foot tall Christmas tree with a 25-foot base. Even Dinosaur Gertie will be dressed for the occasion with a dino-sized Santa hat that is so big, four people could stand inside it. This popular holiday experience returns in 2018 with impressive new laser effects to complement the spectacular projections of Mickey Mouse, Olaf and other beloved Disney characters sharing their favorite seasonal stories. A snowy Sunset Boulevard will twinkle with festive holiday decorations making the perfect setting for this wintry display. 21 palm trees along Sunset Boulevard will be illuminated with programmable, color-changing LED fixtures transforming the entire area. Walt Disney Animation Studios produced custom animation of Wayne and Lanny from ABC’s Disney Prep & Landing as well as Mickey and pals, exclusively for Sunset Seasons Greetings. Holiday magic (i.e. 12 high-definition projectors) will transform the facade of the famous Hollywood Tower Hotel into scenes of the season – Mickey and Minnie reminiscing about a hometown Christmas, characters from Pixar Animation Studios’ Toy Story films wondering which new toys are coming this holiday and more. This stunning experience runs continuously throughout the night. Holiday magic will once again bring billboards on Sunset Blvd. to life and transform the famous Hollywood Tower Hotel into a giant pile of wrapped Christmas gifts, a gingerbread house, the 'Hollywood Toy Hotel', and a frozen winter wonderland. A summer-loving snowman might even make an appearance to share his holiday wish. This stunning and heartwarming experience will run continuously throughout each evening. The show will be presented on, above, and around the Chinese Theater using state-of-the-art projections along with special effects, SNOW, fireworks, and a seasonal musical score. There is even a special message from Santa at the end! The show will focus on Wayne and Lanny, who you may remember from the ABC/Walt Disney Animation Studios holiday special Prep and Landing, as they search for the missing Santa Claus. The show will also feature heartwarming moments from some of your favorite Disney films including Bambi, Cinderella and Tim Burton’s The Nightmare Before Christmas and more. Read a review and more details about the 2018 presentation of Jingle Bell, Jingle BAM! by following the link. 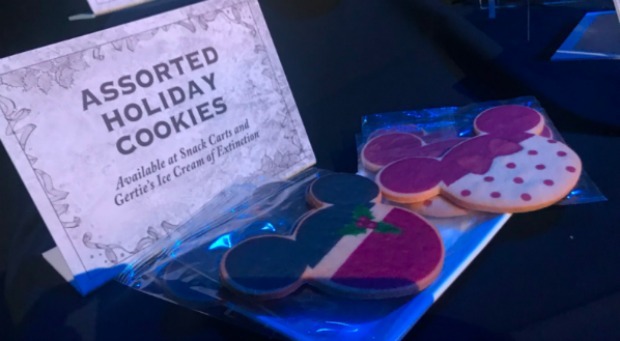 This festive party will take place in the courtyard of Grauman’s Chinese Theatre where guests can enjoy candy cane brownies, holiday Mickey and Minnie sugar cookies, warm pumpkin pie spiced bread pudding, and sweet Yule Log. You even get your own pair of 3D glasses that will transform the fireworks into gingerbread men, candy canes, snowflakes, and ornaments. Beer, wine, and specialty cocktails will be available for guests over 21. 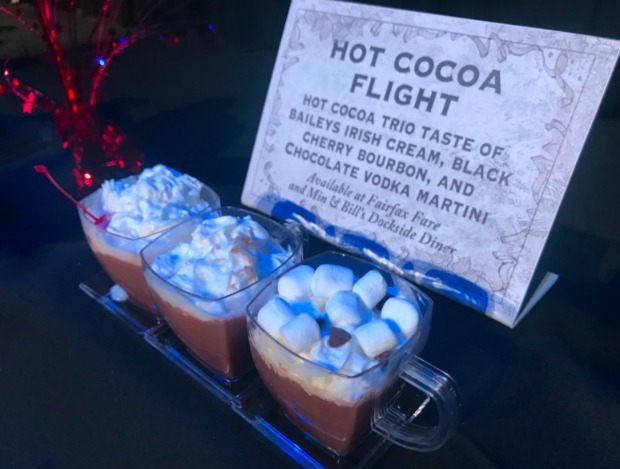 Specialty non-alcoholic beverages including hot cocoa will also be available. A special VIP character will stop by to meet and mingle with dessert party-goers then wrap up your merry evening in a reserved viewing area for 2 shows — Disney Movie Magic and Jingle Bell, Jingle BAM!, a holiday spectacular hosted by elves Wayne and Lanny from ABC’s animated special Prep & Landing featuring iconic music, fireworks, special effects, and state-of-the-art projections that display heartwarming moments from some of your favorite Disney films including Bambi, Cinderella and Tim Burton’s The Nightmare Before Christmas and more. From November 6 - December 22, 2018 and January 2-6, 2019, the cost is $79 per adult, $45 for children 3-9 (tax and gratuity included). From December 23, 2018 to January 1, 2019, the cost is $89 per adult, $49 per child (tax and gratuity included). 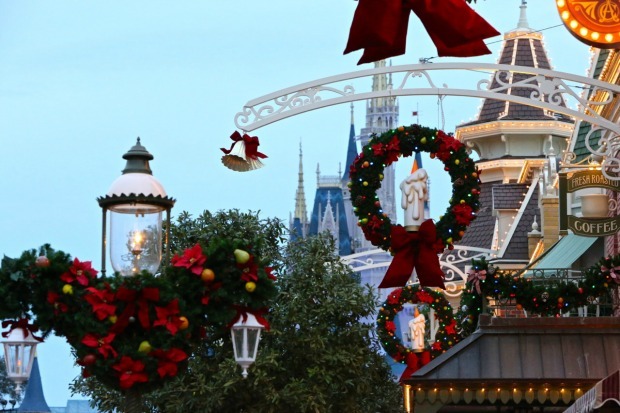 Be sure to check Disney's booking calendar for event times as they will vary based on the Jingle Bell, Jingle BAM! Holiday Spectacular schedule. Reservations can now be made by calling (407) WDW-DINE or visiting DisneyWorld.com/dining. 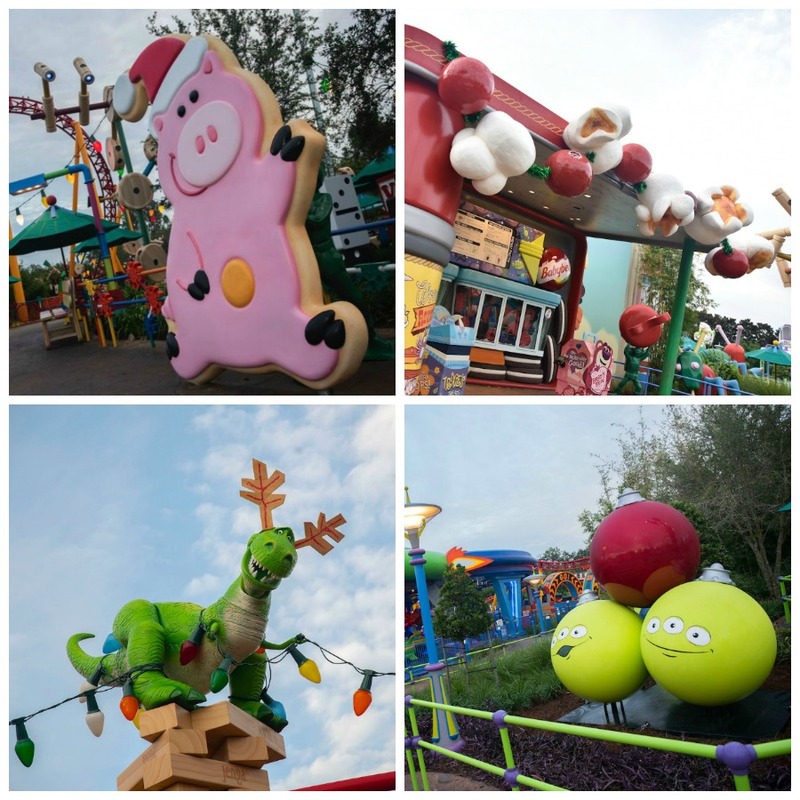 Toy Story Land Holiday Additions - NEW for 2018! Holiday fun arrives this holiday season in the brand-new Toy Story Land! New decor includes an oversized cranberry-and-popcorn garland and a 10-foot-tall Hamm sugar cookie at Woody’s Lunch Box, as well as green alien ornaments near the entrance to Alien Swirling Saucers, just to name a few. 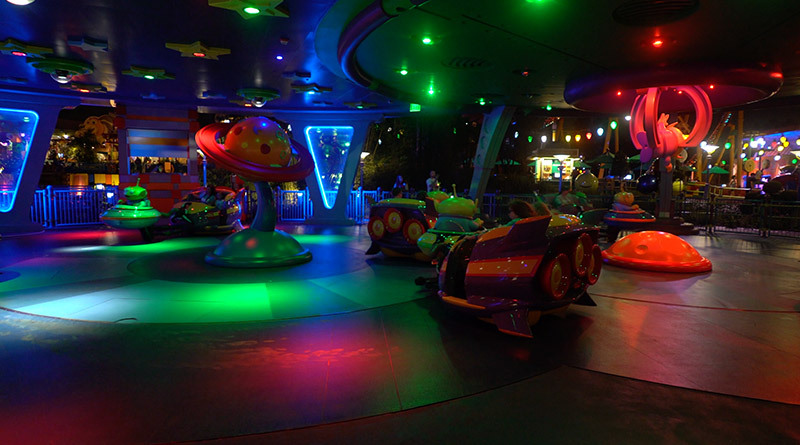 Plus, guests will hear sleigh bells ringing on Slinky Dog Dash, while Alien Swirling Saucers will offer two holiday tunes with themed lighting. 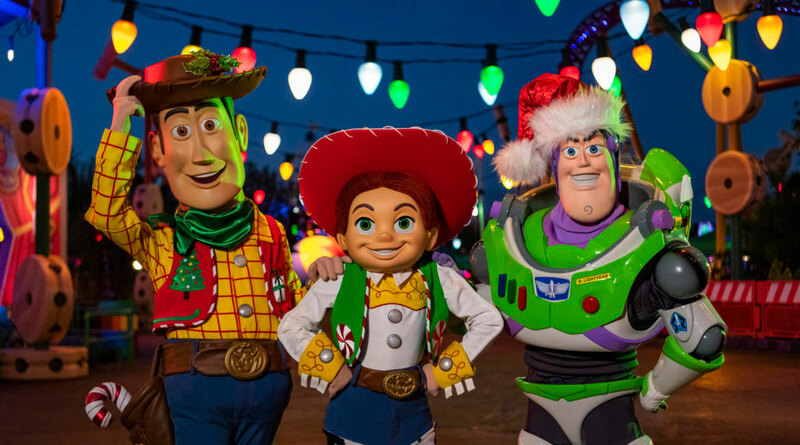 Toy Story characters will don new holiday looks for the season, too, as Woody and Jessie will wear special holiday vests and sprigs of holly on their hats, while Buzz Lightyear will sport a snazzy Santa hat. Two Christmas songs have been added to the mix tape at Alien Swirling Saucers for the holiday season and it's better than ever! “Deck the Halls” and “Up on the House Top” in the techno-style guests might be familiar with from this attraction brings a new meaning to holiday cheer. Follow this link to read more about the holiday overlay on this attraction. 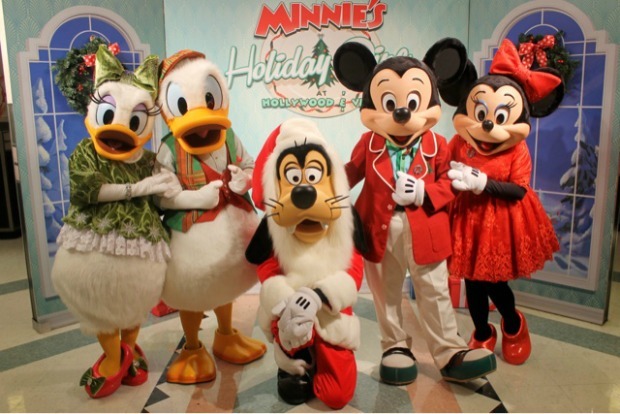 Minnie Mouse will host a festive holiday dinner with Mickey Mouse, Donald Duck, Daisy Duck, and Santa Goofy! 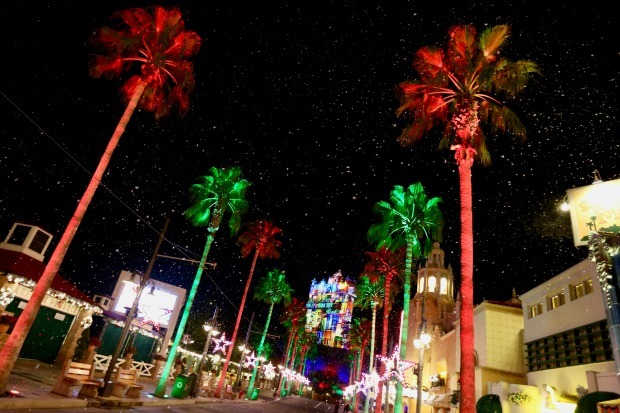 Hollywood & Vine will be all decked out with holiday decor, food, music, and activities. Make reservations here or by calling (407) WDW-DINE. Minnie’s Seasonal Dining events cost $52 per adult and $31 per child, plus tax and gratuity. Some dining plans are accepted. Holiday festivities continue at the Hyperion Theater as Anna, Elsa, and Kristoff will welcome Olaf to the very popular sing-along, 'For the First Time in Forever: A Frozen Sing-Along Celebration.' Just for the holidays the show will include all-new songs from Disney’s new animated short Olaf’s Frozen Adventure. Take a look at the clip below for a little peek at the new ending. The beautiful and vintage setting of the Once Upon a Time shop recalls bygone days of Santa’s visits to great department stores across the country. Santa will be at the shop daily to greet guests and listen to holiday wishes beginning on November 10 and going through December 24. 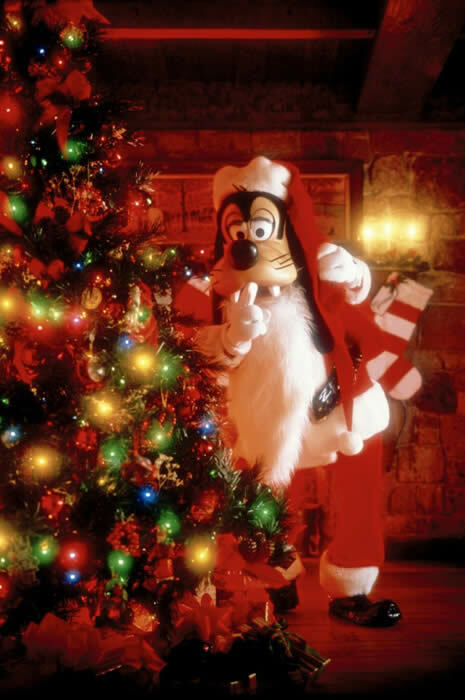 Santa Goofy will step in to finish off the season when Santa Claus returns to the North Pole from December 25 – 31, 2018. Catholic Mass: 8:00 a.m. and 10:30 a.m.
Walt Disney World Guests are asked to use WDW transportation to Magic Kingdom Park and board a shuttle to Disney’s Contemporary Resort. Shuttle service begins at 7:00 a.m. The Parking lot will be restricted during this time as well as the lots at the Polynesian Village and Grand Floridian Resorts. Guests staying around the monorail beam are asked to use the watercraft or monorail transportation, which also begins at 7:00 a.m.
All guests should allow plenty of travel time when using Walt Disney World Transportation as they will go through bag check and metal detector screening processes at the Transportation and Ticket Center and monorail stations located at Disney’s Grand Floridian Resort & Spa and Disney’s Polynesian Village Resort. Find more Religious Services Around Orlando and Disney. The PhotoPass photographers that can be found all across Walt Disney World have hidden surprises in their cameras - we call them Magic Shots and they can add just a bit of Pixie Dust to the photos you have taken. Some of the photographers will automatically add them, but don't count on it. We recommend asking each photographer because you never know what can happen and it's always fun to see the surprise when you view your photos for the first time.